Byrds 1965 line-up: L to R: Graeme Miller, Chris Collier, Dave Miller, Al Dunster and Brian Ringrose, . The Playboys was the brainchild of singer Phil Garland, a modern day Folk singer and noted Kiwi music historian. In 1962 he, along with Diane Jacobs, was singing in the long-established Christchurch group, The Saints. He decided that both he and Diane (later known as Dinah Lee), needed their own band and the pair set about recruiting players. They picked Graeme Miller for drums, on the say so of the current The Saints leader, Pat Neho. Also Mark Graham for rhythm guitar and backing vocals, and Dave Martin for lead guitar. Learning that Brian Ringrose had become available, they grabbed him for bass. Brian was the member with pedigree, having come through the ranks of The Wildcats, and the Ray Columbus outfits, The Downbeats, The Drifters, and The Invaders. Brian was lead guitarist in The Invaders and featured in the band during the breakthrough pop television series 'Club Columbus'. When The Invaders turned professional, Brian opted out to complete the studies he was undertaking. After only a very brief stay, Dave Martin decided to depart The Playboys and Brian Ringrose moved straight into his designated slot as lead guitarist. 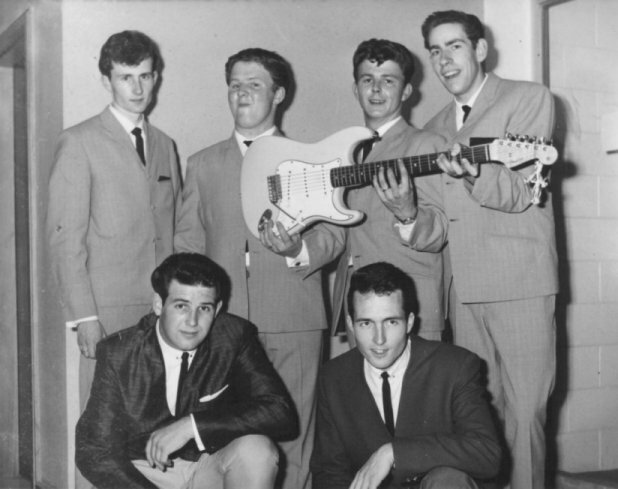 John O'Neill was then bought in to fill the bass player role and that was the line-up that settled and remained static, successfully establishing themselves on the Christchurch scene, in 1962/63. Playboys 1962 L to R: Graeme Miller, Mark Graham, Brian Ringrose, Dave Martin and Phil Garland. Diane Jacobs in front. 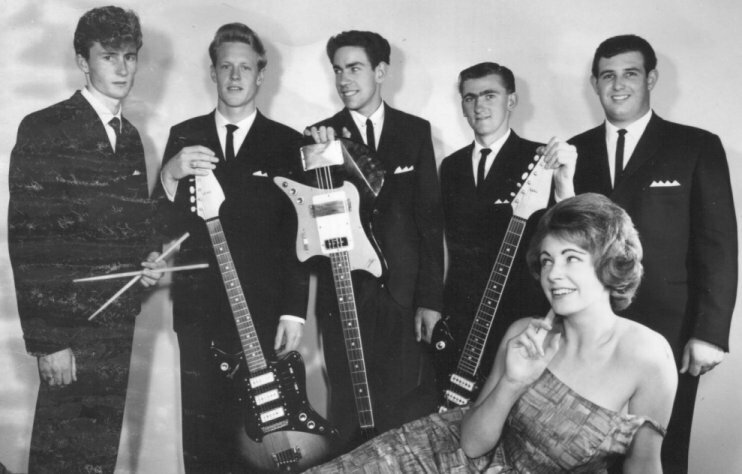 Phil, Diane and the Playboys were invited to play Max Merritt & the Meteors Auckland "Top Twenty" residency for four weeks, in early 1963, while the Meteors went on tour. While there, Diane and Phil drew favourable attention to themselves and as a consequence, both of them chose to return to Auckland to pursue solo careers with recording prospects. So, Diane left the group becoming a very successful solo artist under the name Dinah Lee. Meanwhile, Dave Miller, who had for a brief period sung vocal back-up to Ray Columbus in the Downbeats, back in Christchurch, received a much lauded telegram, from brother Graeme in Auckland, which read……. 'Give up smoking (stop). Learn some songs (stop). You are our new vocalist (stop)'. Dave Miller's baptism of fire came at the Caledonian Hall, Christchurch, in the middle of 1963, at a packed house farewell to Dinah Lee sponsored by Coca Cola, and presented by top 'jock' Des Britten. 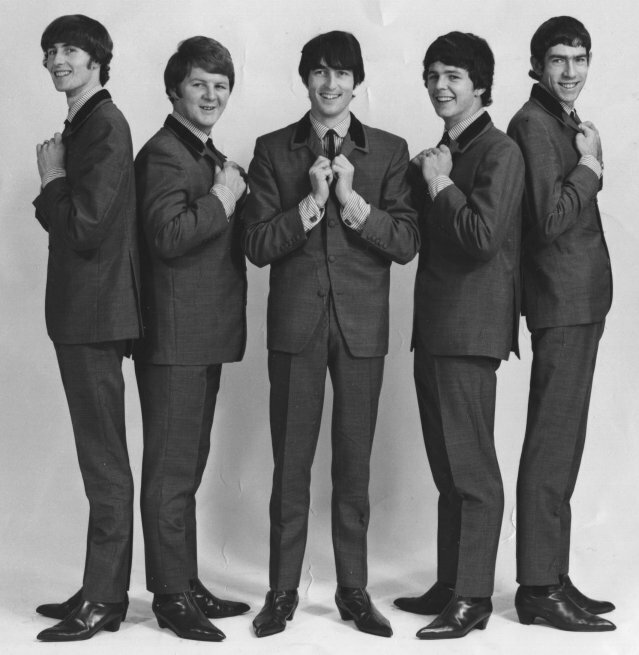 Within weeks of Dave Miller's debut, the Playboys were contracted to the NZBC, on their 3ZB Station, for a teen-styled program called 'Soundstage'. Each week the band recorded four or five songs which were featured around a 'chat show' format talking to touring artists, both Kiwi and international. The radio show boosted the Playboys stature around the Christchurch scene, and as far afield as Timaru. It went to air on Saturday mornings. As a consequence of The Playboys' growing popularity they played all the major venues of the time, The Zodiac Lounge: The Caledonian: Spencer Street: The Plainsman: The American Base at Harewood Airport: and the Max Merritt family's Sunday Teen Club, in Carlyle Street. Because of the upsurge in popularity The Playboys were recommended to Mr. Jim Rydings as the perfect choice for his new venture, The Laredo. The band jumped at the chance. The offer was far too good to pass up on. The Laredo went on to become one of the standout success stories in the annals of Christchurch entertainment. At that time Mark Graham chose to depart The Playboys and John O'Neill's younger brother, Kevin, came in on rhythm guitar. Playboys 1963: Back L to R: Graeme Miller, John O'Neill, Kevin O'Neill and Brian Ringrose. Front (departing) Phil Garland and Dave Miller. Late, in 1963, The Playboys recorded a series of 'demos' at Robbins Recorders, in Christchurch, and the ensuing 10 inch disc became an industry talking point, even as far afield as Auckland. 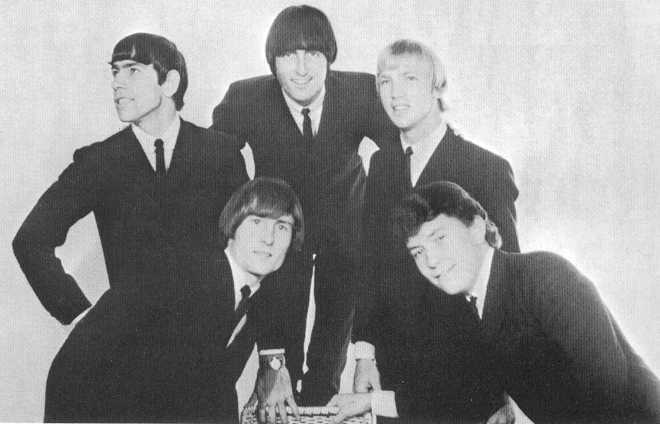 In the early part of 1964, Russell Clark, of Auckland's Benny Levin Promotions, made contact with the band and turned up at a group rehearsal, during a time he was in Christchurch over-seeing a touring show. He personally wanted to check out the band, their music, and the 10 inch demo disc. He requested an EP for his own demonstration purposes, so The Playboys went back to Robbins Recordings and laid down four tracks, two of which were original compositions. Nothing happened immediately, but there was the promise that if any Auckland vacancy occurred then The Playboys name would be put forward. By this time the world was taken over by 'Beatlemania' and the 'beat groups' in general, and The Laredo was a constant sold out success. The Playboys definitely filled the 'hole' left vacant by the departure of Max Merritt & the Meteors, and Ray Columbus & The Invaders from the Christchurch music scene. 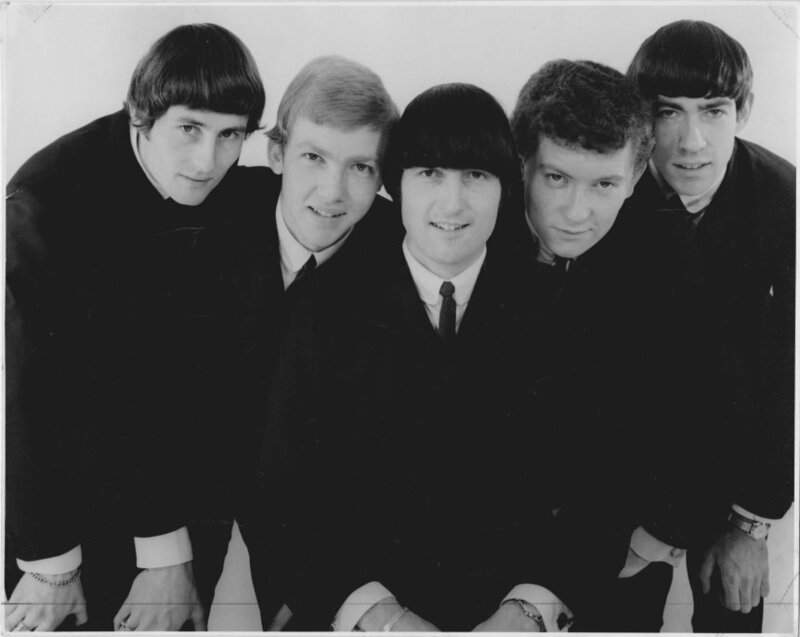 Playboys / Byrds 1963 to 1965 L to R: Graeme Miller, John O'Neill, Dave Miller, Kevin O'Neill & Brian Ringrose. After leaving Christchurch with a mayoral motorcade The Playboys headed north to Auckland, as a new base, and decided that 'The Playboys' name was too overused. Tom Jones had fronted a Playboys outfit; Gary Lewis & The Playboys (This Diamond Ring) and Normie Rowe & The Playboys (Shakin' All Over and It Ain't Necessarily So) seemed like too much confusion and, in addition to that, collectively, the band believed that the name had become rather 'old hat'. Opting for a new identity, The Playboys became The Byrds before embarking on the Morrison Tour which eventually introduced them to many, many thousands of people. 1965 turned out to be a hectic year of unprecedented proportions. The Byrds would have to have been in line for one of the most worked bands in the country. After the farewell 'Morrison Tour' the band relocated to Auckland and very quickly became the 'toast of the town' with constant bookings for appearances at all the major venues such as The Shiralee; TheTop Twenty; The Beatle Inn; The Platterack; The Monaco; The Oriental, and other places. It was a non-stop round of constant gigging. During the year they also played a number of concerts with the likes of, Howard Morrison, Ray Columbus & The Invaders, Dinah Lee, Ray Woolf, The Librettos, and Tommy Adderley, to mention a few. By the end of January The Byrds became the resident band at The Shiralee. Benny Levin Promotions took over management and the group signed with Zodiac Records. Rather like The Beatles, in Hamburg, The Byrds were the work horses at The Shiralee -- seven nights a week, with Saturday and Sunday afternoons on top. It was almost non-stop rock! February 1965 saw the release of 'Bright Lights, Big City' b/w 'Little Lover'. Bright Lights had, for some time, been a personal favourite of Dave's by renowned bluesman, Jimmy Reed. The song had also been covered by the Pretty Things in the UK. Dave was convinced the time was right for it, especially after The Rolling Stone's 'Little Red Rooster'. Sales were brisk and 'Bright Lights' went straight into the Auckland charts at place eight, first week in. It was a national hit while 'Little Lover' also climbed to number five in the Christchurch. charts. From that point on the demand was great and the band made many appearances outside The Shiralee, which remained the base 'to come home to'. During the year the band played all the principal towns from Whangerei, in the north, to Wellington, in the south, and stretched across the country from Napier, Hastings and Gisborne, on the east coast, to New Plymouth, on the west coast. They even managed a return visit back to Christchurch, in the South Island. The band's popularity in Hamilton, Rotorua and other towns of 'The Morrison Tour', remained loyal with constant support for the entire duration of The Byrds' lifespan. The end of April, 1965, saw the release of 'How You've Changed' b/w 'Wake Up Little Susie'. As an early promotional tool the band filmed 'Wake Up Little Susie' for NZBC Television, in Auckland, and when shown in North Island regional centres the 'jocks' flipped the disc and 'Susie' entered some of the charts. Overall it did not do the business of 'Bright Lights', but, played a major part in keeping The Byrds name 'up there'. Around this time 'Mr. Tambourine Man' by the (US) Byrds hit the charts and the result was absolute confusion! To differentiate between the two 'chart' bands Dave Miller's name was pulled out the front. From that point on, the group became Dave Miller & The Byrds. The workload and pressure saw the departure of brothers, John and Kevin O'Neill. They were replaced by Al Dunster on rhythm guitar and vocals, and Chris Collier on bass and vocals, and, almost immediately it was back to non-stop gigging. Al Dunster had previously been with the Dallas Four. Mid 1965 line-up: L to R: Brian Ringrose, Graeme Miller, Dave Miller, Chris Collier and Al Dunster. The third single 'No Time' b/w 'Love Is All I Need' was released in October, 1965, and should have been a 'monster'! It was the hit that got away. On its release it was a hit prediction on the nation's 'hit parade bible' -- The Lever Hit Parade, and the band were interviewed live, in the studio, by the programme's host, Ted Thorpe. After a number of weeks in the market place sales were poor outside of Auckland and Christchurch. No one could work out why. It turned out that the NZBC, with budgetary constraints and cutbacks, had decided to purchase only two copies of 'No Time' -- one for Auckland, and one for Christchurch. Some weeks elapsed before that became apparent. 'No Time' was not given time and, as a consequence, airplay was lacking throughout most of the country. The general public was almost completely unaware of it. Dave Miller wrote to the Director of the NZBC, who duly replied, in January 1966, stating that the arguments, in its favour, were undeniable and that extra copies would be purchased for all regions. By that stage, with too much time having elapsed, the damage was done and The Byrds had disbanded in a somewhat disillusioned state. 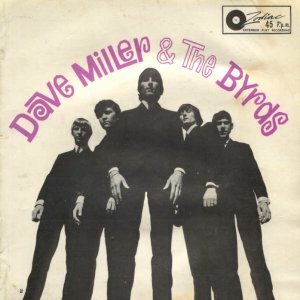 In early November, 1965, in a 'pow pow' almost live session, at Zodiac Records, the group recorded their acclaimed and sought after EP, 'Dave Miller & The Byrds'. It comprised stage favourites and was set to meet the Christmas market place. The songs were……'Tough Enough', 'Help Me', 'Let The Four Winds Blow', That'll Be The Day', and 'Ain't Got You'. After running many shows, for themselves, as well as working the nation's top venues, the band chose to call it quits on New Year's Eve, 1965. The prime reason was exhaustion. The Byrds never appeared publicly again. Dave Miller worked briefly as a solo performer, in both Christchurch and Wellington, until the end of March, 1966, and then headed for Sydney, Australia, where he also continued to work solo. In March, 1967, Dave launched The Dave Miller Set at the Sydney Royal Easter Show. The only other Kiwi involved was Ray Mulholland, former drummer with top Auckland group, The Rayders, the group that Chris Collier joined after the Byrds disbanded. I would like to express my thanks to Dave Miller for providing me with all the above notes. It is a great honour to be able to tell the true story of one of New Zealand's better bands.